View More In Hydraulic Equipment. WellMate® composite tanks are the tank of choice in residential and commercial applications for their unmatched durability. Their fiberglass construction makes the tanks impervious to rust. In addition, their epoxy-resin sealed outer shell will not dent and the scratch-resistant paint eliminates touch-ups, making WellMate tanks virtually maintenance-free. 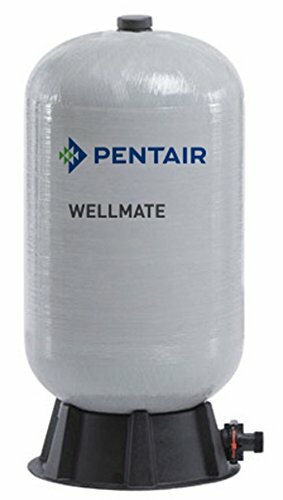 Less than half the weight of steel tanks, WellMate tanks install more quickly and at a lower cost than the competition. Their lead-free construction makes them corrosion resistant and will not introduce undesirable chemicals or elements into the water. Our WM-Series offers features and benefits steel tanks just can't match. From their corrosion-proof composite construction. to their lighter weight, easier maintenance and less expensive installation. WM-Series pressure tanks are the preferred choice of professionals. Quick Connect, Replaceable air cell assures easier field servicing. Greater drawdown than comparably sized steel tanks yields greater efficiency. Extended labor warranty option is available to homeowners. Won't rust in corrosive environments, particularly important in coastal regions. If you have any questions about this product by WellMate, contact us by completing and submitting the form below. If you are looking for a specif part number, please include it with your message.